Brea Jiu-Jitsu has formed a friendship with many top competitive black belts and provide solid training while they are in town. 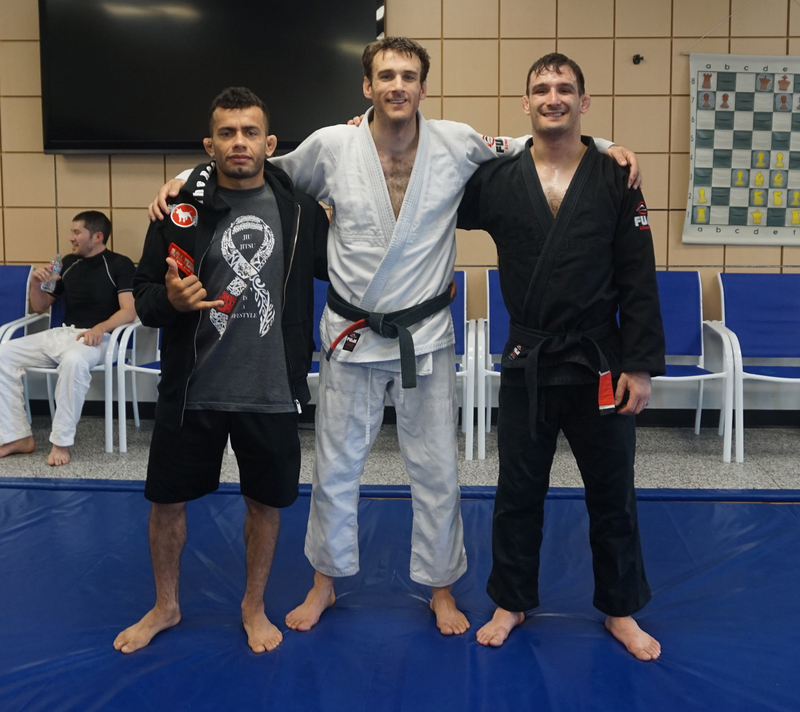 World Championship medalist (black belt adult) Tiago Barros and Relson Gracie black belt Douglas Kallin were in for our 7AM class today. Read more about our welcoming and open philosophy towards guests and visitors here.